A common misperception is that bullying ends after one graduates or otherwise leaves high school. The truth is that bullying is alive and well in our adult world, and bullying in the workplace is a significant problem that is too often overlooked. According to a 2014 study by the Workplace Bullying Institute, 7% of employees in the United States reported that they are currently being bullied – while an additional 20% reported being the victim of workplace bullying at some point in their career. At current economic employment rates, these percentages would translate to 11.16 million people currently victimized by workplace bullying and nearly 32 million people who have been a victim of workplace bullying at some point in their career. Workplace bullying is much different than the more widely known type of bullying found in schools. Many of the tactics used are often more subtle, and any singular tactic would hardly be considered a case of bullying in our modern workplace. Over time, however, the patterns of behavior and the combination of tactics that a perpetrator uses to inflict emotional distress or otherwise exert influence over the victim are what makes workplace bullying especially problematic, and can often result in more overt behaviors. According to the National Institute for Occupational Safety and Health, mental illness among the workforce amounted to $19 billion per year in lost employment and an additional $3 billion in reduced productivity. 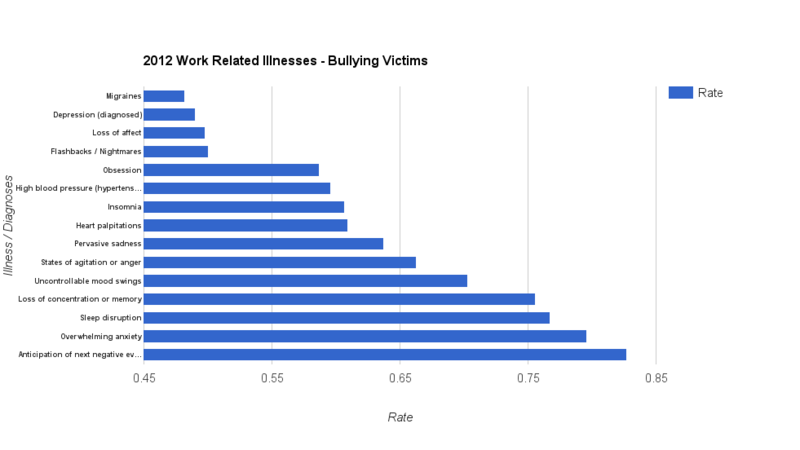 While not all of these losses can be attributed to the after effects of workplace bullying, additional research does indicate that victims of workplace bullying experienced 26%more absences from work due to to illness. 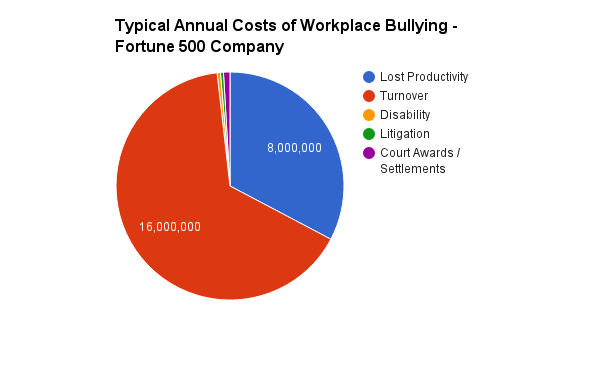 For the employer, the costs of workplace bullying are significant, and are largely comprised of those associated with reduced productivity and employee turnover. Excluding the costs of increased medical care expenses and the intangible costs associated with damage to reputations, the annual costs associated with productivity declines, turnover, disability payments, and legal proceedings for the average Fortune 500 employer are still in excess of $20 million per year. Many of our modern workplaces are highly competitive environments, where high levels of individual and team performance are necessary to achieve the organization’s goals. Identifying employees that may be victims of workplace bullying within this type of environment can be difficult, but there are some clear signs to look for.